PRERNA’s team leaders are dedicated volunteers who donate their professional skills and personal time pro bono to provide the highest qualitative services possible to refugees who are resettling in the Bay Area. Feel free to contact us if you have any questions or are interested in learning more about one of the teams below. Lorrene Randazzo leads the health team at PRERNA. She looks forward to establishing health advocate relationships with refugee families by identifying their unique health related needs and concerns. Lorrene and her team are responsible for providing families with the support and creative solutions they need to access existing health resources. Their ultimate goal is to help them become self-sufficient in finding and receiving medical, dental, and other health-related services. Lorrene earned a B.S. in Psychology from University of California at Davis and a B.S. in Nursing from San Jose State University. 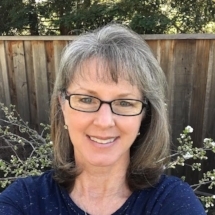 She has ten years of experience as an emergency nurse and served two years as a school nurse working in Santa Clara County. Her career and family life have provided her with many interesting stories and life lessons. Lorrene lives with her husband, daughter, son and two dogs in San Jose, CA. Contact Lorrene at lorrene.randazzo@prerna4refugees.org and learn more how she helps local refugees in her blog article. Shreyani Shah leads partnership strategy and development at PRERNA. She collaborates closely with other team leaders in the organization to identify, develop and manage relationships with organizations and businesses in the areas of housing, healthcare, education, employment, supplies, logistics, cultural assimilation, e-commerce and fund development. Partnerships are critical to PRERNA’s ability to provide services to refugees and their families in the Bay Area, starting with the national refugee resettlement agencies and other service providers that refer refugees to PRERNA for support. Shreyani earned a BEc degree in Economics from University of Sydney in Australia and a Business Management certificate from University of California, Berkeley. She has worked as a finance and operations manager in the high-tech industry for over 15 years. Contact Shreyani at shreyani.shah@prerna4refugees.org. Shahin Masthan is the People Officer on the PRERNA team who manages the recruitment and on-boarding of potential volunteers. Matching volunteer interests and skills is one of her main responsibilities. She also plans to inspire and motivate volunteers to continue the good work by organizing gatherings. Shahin has more than 17 years of corporate business experience working in major financial institutions around the globe. She received a Master’s degree in Human Genetics from the University of Sydney, Australia. Shahin is passionate about helping the less fortunate people and believes that there is no better expression of kindness than being humane in this world. She lives in Palo Alto with her husband and two beautiful daughters. Contact Shahin at shahin.masthan@prerna4refugees.org. Reena Arya plans and executes events that advocate for refugees and raises the awareness of PRERNA refugee services. Through creative fundraising events, she has helped to grow the number of donors and donations to support local refugees. Previously, Reena led housing program services at PRERNA, finding transitional housing as well as affordable permanent homes for newly arrived refugees. Reena earned a B.S. in Computer Science from University of California, Davis and worked in the high-tech industry for many years. She believes in giving back to the community on a local and global level and has been volunteering at various non-profit organizations and schools for nearly 15 years. Education and empowerment of youth (girls especially) is important to her. Reena lives in Silicon Valley with her husband and two daughters. Contact Reena at reena.arya@prerna4refugees.org. Karen Mecker assists PRERNA with all finance-related matters, including tracking revenue and expenses. She has a background in law and finance and more than nine years of work experience in the U.S. and India. Prior to joining PRERNA, she practiced law in India and was employed in finance and sales operations at several high-tech companies in Silicon Valley. Karen is active in charity organizations including National Charity League (NCL) and supports various causes such as Habitat for Humanity and Ronald McDonald House. She lives in the South Bay with her husband, two daughters and a dog. Contact Karen at karen.mecker@prerna4refugees.org. Ajeetha and her team are responsible for employing the refugees in a job, based on their education / experience and ensure that the refugees become economically self-sufficient. They work with the refugees to identify their capabilities / shortcomings and accordingly explore opportunities or assist them in getting the required training to be placed. They also keep track of the open job opportunities and maintain continuous relationship with PRERNA partners. Ajeetha has earned her M.S in Mass Communication and Diploma in Computer Science. She has worked as a senior recruiter in Bay Area and is employed with Cisco for 12 years as an IT Analyst. Ajeetha can be reached at Ajeetha.gnanasambandan@prerna4refugees.org. Malaina Kapoor is the cultural assimilation lead for PRERNA. She is a homeschooled high school junior and a recipient of the Caroline D. Bradley Scholarship, a merit-based academic scholarship awarded to 30 students annually nationwide. Her work has been published by organizations including the Mercury News, the Clayton Christensen Institute, Education Next, and Bluefire. She was recently awarded a national gold medal in journalism from the Scholastic Arts and Writing Competition. Malaina is an active participant in Model UN and has started two nonprofits addressing hunger and the refugee crisis. Malaina is also a competitive opera singer; her music awards include the gold medal in the U.S. International Music Competition and second place in the International American Protege Competition, which resulted in a solo performance at Carnegie Hall. We empower refugees with the opportunity to rebuild sustainable lives in the United States, by providing continuum care and services, including housing, healthcare, supplies, cultural assimilation, education and employment opportunities.